In one of the Deta-Elis presentations, the following case was presented that is an interesting example of a 33-year old man who had to abandon his Ph.D. studies due to illness. was suffering from an imbalance of the autonomic nervous system. This created a number of symptoms such as photophobia, hypersensitive to noise, hypersensitive to touch, to smells, vomiting, excessive sweating leading to severe dehydration and collapse. He had seen medical specialists in Greece, Brussels, Amsterdam and Paris and was thoroughly tested using modern medical tests. He was given Vallium, Lexotanil, Zyprexa, Seropram, and many more drugs to no avail. He began seeing psychologists and psychiatrists, but the symptoms were gradually increasing in frequency and in intensity. Then epileptic-type fits had began that increased to daily crises. He tried homeopathy and acupuncture, but this was no very helpful either. 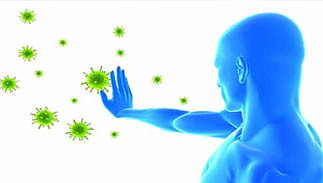 He eventually saw a Deta bioresonance practitioner in Greece who diagnosed Salmonella, a bacteria producing many toxins effecting the nervous system. He was treated and completely cured using the Deta Professional bioresonance device along with autonode homeopathics. My Name Is Georgia and I am 53 years old, born in Thessaloniki, where I live. After a bad minning accident in 1997, I had badly damaged my right elbow. After seeing numerous orthopaedic surgeeons in a 5-year period, with numerous opinions I was no better off for health. I spent hours every month receiving my medications from the health ministry at a cost of over €2,500 per month which was covered by my health insurance. From 2003 I began to have frequent respiratory infections, recurring bouts of pneumonia which resulted in a constant fever of 39 – 40 degrees centigrade, with a constant cough and wheezing with a severe swelling in the face. In all the tests that I had during this period, the diagnosis was always pneumonia and I was given antibiotics and sent home. I saw other doctors as well as a homeopath, but the problem continued, with additional symptoms such as tinnitus and vomitting. Even though my fever was always high and I was forced to take antipyretic drugs, I had to go to work on a daily basis. During this time I had visited another alternative medicine practitioner who practiced iridology, and amongst other things pointed out that my mouthful of amalgam fillings, with 50% mercury, was not helping my immune system. I had these removed and indeed the severe swelling of my face disappeared. In March 2007 I returned from a trip to the USA with bouts of breathlessness, high fever in the 40′s, feeling cold, dizziness and buzzing in the ears. I stayed 15 days in a chest clinic with a diagnosis of bronchiectasis. I was given injectable antibiotics and booked in for a bronchoscopy. After seeing more than 25 specialists with a number of diagnoses such as rheumatoid arthritis and Lupus, and even AIDS. I was again hospitalized for dehydration as a result of high fever, profuse sweating and vomitting and losing 18kg. After a further bronchoscopy, another bacteria was found and I was given cortisone therapy. In 2011 I was found in a comotose state by my son and was again hospitalized with a diagnosis of subarachnoid cerebral haemorrhage. The doctors said that I would have brain damage. In January 2013, some friends told me about a Centre where they used bioresoance as a diagnostic tool. It sounded interesting but I was mentally tired, fatigued and broke. After testing, the doctor found Lamblia, a protozoan, as well as problems in the gastrointestinal system as well as harmful bacteria in my gut and blood. I was given a small device from the Deta-Elis company that worked on the principle of bioresonance. I was to use this in my home and work, as it was no bigger than a mobile phone and it would sit in my pocket. In a short period of time the vomitting left, my cholesterol levels fell, I stopped taking pills for my stomach, no more cortisone or dizziness. My friends began to comment that I was looking more healthy, my immunological markers had all increased to a healthier level and no more tinnitus. The doctor using the Deta-Elis diagnostics identified the causes of my symptoms and we began to eliminate these using the Deta-Elis AP bioresoance device. This is amazing technology and I am truly thankful for the scientists that have given such a big gift to humanity. This was a bad case of hand eczema of a 32-year old named Valery, that was cured using the Deta-AP running programmes such as sanitation, deep cleansing, eczema, liver detoxification, worms, streptococcus aureas, echinococcus and others. The results before and after are clearly shown in the photo. 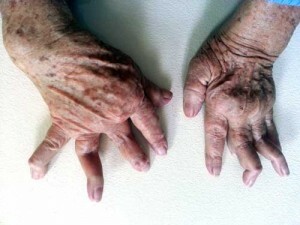 I have had Rheumatoid Arthritis (RA) for nearly 30 years. The RA was very aggressive in the early stages and caused quite a bit of damage to my joints as the photos of my hands show. I have tried many healing methods, both medical and natural methods. Some helped, some did not, but over the years I was able to slow down the progression and also to reduce pain killers to about 1 per week. It was not only the pain, but the whole body inflammation with its many other manifestations such as poor sleep, finding it difficult to get up in the mornings, and the general lack of enthusiasm that people with auto immune diseases like myself have to deal with. 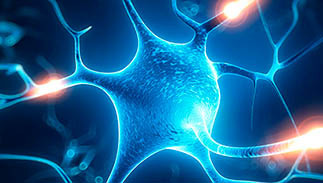 When I heard about the Deta Elis bioresonance devices, I was immediately excited, because I saw the tremendous potential of a portable, easy to use, bio-resonance device. I have studied and used the Rife machine, the Hulda Clark zapper, the SCIO etc, so I was completely affay with the technology. One of the greatest draw backs of the old school bio-resonance devices is that you have to spend so much time strapped to one of these devices, either at home (and most are costly, not at all user friendly and often not targeted enough) or at a therapists office, which also becomes very costly. After only one week of using these devices, I was sleeping better and waking up more refreshed. After one month I was able to cut my pain meds in half. I was only taking about 1 per week, but was pretty desperate for the meds nearing the end of the week. Each day thereafter, I was feeling a lessening of whole body inflammation which I had been experiencing. I started enjoying life again, became enthusiastic again, was getting involved in the projects I was hoping to work on. Life felt good again. At the time of this writing, I have been using the Deta devices for nearly 4 months, and it has been 6 weeks, since I last used any pain killers. No more medications! Am I totally out of the woods yet? I don’t think quite yet as I wish to see some reversal to the damage done to my joints over the years. If you wish to communicate with me, you may e-mail me at health.info999@gmail.com and I will do my best to respond promptly. My name is Peter and I am 20 years old. Four years ago I have a bad skin problem which led me to feel depressed and withdrawn – I was embarassed to socialise with people. As I was desperate to find a cure for my ailing skin, I tried many ointments, lotions, creams, antibiotics, blood transfusions and even plasmaphoresis. Unfortunately, after spending a lot of money, the cure was not in sight. I was very disappointed at the fact that medicine could not help with my condition. One day a friend invited me to the presentation of a new medical device which was helping a lot of people with difficult-to-solve health problems. I came across and learned about the Deta-Cosmo device and only after 5 sessions for the first time in my life I began seeing a difference to my skin. 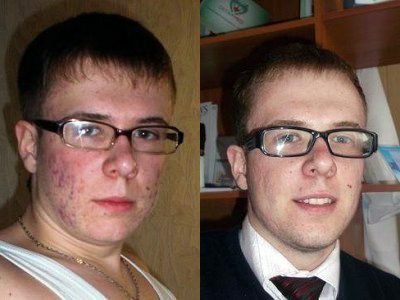 In a short while, my skin began to clear completely, as you can see in the before and after pictures above. I was truly grateful to the inventor of such a miraculous device – thank you Dr Sergey Konoplev for your invention! This patient had a bad case of psoriasis with intense pruritis (itching) for over 10 years. Various treatments had failed. In September 2011 he had the opportunity of being tested using bioresonance and was found to have tapeworms and other worms. 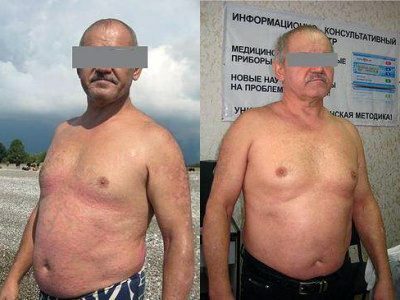 He began treatment with the Deta-AP and within a short while he was completey cured as shown in the before and after photo below. 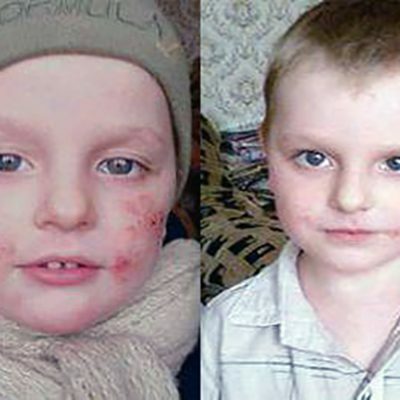 This child had a severe eczema of the skin from the age of 3 months. He spent the first three years of his life seeing many doctors at different clinics. Many expensive treatments followed but without success. The boy was then tested using the Deta-Elis Professional bioresonance testing and many underlying causes were identified such as giardia, worms, staphylococcus and streptococcus. The boy was treated using the Deta-AP device and within two months the child began to improve with no further treatments required. Intermittent treatments over one year resulted in a complete cure, as shown in the before and after photos below.